The non-profit association, headquartered in the city of Bra in Piedmont, Italy, was founded in 1989 by the Italian journalist Carlo Petrini (* 1949), who is still president today. Since the mid-1970s, he had written in magazines on the subject of "food and drink" and was co-founder of Gambero Rosso and co-editor of the wine guide "Vini d'Italia" as well as the world wine guide. At the beginning of 2009, after 22 years, Slow Food Italy parted ways with the wine guide "Vini d'Italia", leaving it to Gambero Rosso Holding. It became the own wine guide " Slow Wine ", Which first appeared in late 2010. From the "Society of Friends of Barolo" founded by Petrini, the association "Arcigola" came out in 1986 and three years later "Slow Food". Slow Food stands for enjoyable, conscious and regional food and is a countermovement to the trend of uniform, globalized and enjoyment-free fast food. Meanwhile, Slow Food has become an international association with over 100,000 members in over 150 countries on every continent. It is a world-wide union of conscious connoisseurs and responsible consumers to the dining and drinking culture to nurture and keep alive. Slow Food brings producers, retailers and consumers in contact, provides knowledge about the quality of food and thus makes the food market transparent. A guideline for products is the triad "Buono, pulito e giusto = good, clean and fair". It promotes responsible agriculture and fisheries, species-appropriate livestock, traditional food trade and the preservation of regional flavor diversity. The logo of the association is the snail as a symbol of slowness. The aim of Slow Food is: Enjoyment is at the heart because every human being has a right to it. Quality takes time. The ecological, regional, sensual and aesthetic quality is a prerequisite for enjoyment. Taste is not a matter of taste, but a historical, cultural, individual, social and economic dimension that should be argued about. In addition, the association sees itself as a lobby for taste, for regional adapted and organic cultivation, as well as for the preservation of biodiversity and the culinary cultures. Slow Food stands for products with an authentic character (regional, seasonal) that are produced and enjoyed in the traditional way. Grown, produced, sold or eaten foods based on slow-food criteria strengthen regional economic cycles and bind people back to their region with their eyes, ears, mouth and hands. In addition to the international umbrella organization, there are also sub-organizations in many countries, such as Germany (8,000 members) and Austria (800). In Convivien (dt. Round Table) you can participate as a paying member (in addition to the supraregional, national and international) at locally organized events. In the meantime, there are many hundreds of such rounds around the world that are deliberately relatively small. In its own publishing house more than 70 partly periodical books and the magazine "Slow", which also appears in German, are published. 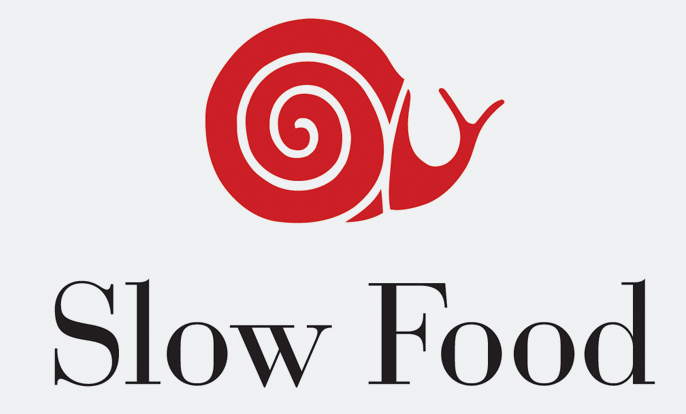 The scope of Slow Food has grown enormously. The association also organizes major food fairs such as Cheese in Bra and Salone del Gusto in Turin. In parallel with the "Salone del Gusto", the "Terra Madre" meeting was held for the first time in 2004, bringing together 4600 farmers from all over the world under the patronage of Prince Charles. In 2006, the second meeting, attended by top chefs and scientists, took place. The educational work on the topics of flavor formation and sensitization for regional specialties and cuisine, risks of fast food and industrially produced or modified food as well as factory farming, agricultural factories and the dangers of monocultured agriculture with increased use of chemicals and increased technological effort is intensively pursued. Intensive political lobbying is done for consumer protection, against genetically modified food, against the use of pesticides, as well as commitment to environmental protection. The "Ark of Taste" is one of the international slow food projects. Local and regional foods, livestock and crops that fail or "go out of fashion" under current economic conditions are to be saved from oblivion by the Ark campaign, protected from industrial and food-processing threats and endangered for future generations. The "passengers" of the Ark of Taste must pass a rigorous entrance exam. It must be proven that the taste quality is first class, the product has a long history, it has an identity - creating character for the region and sustainable potential and actually existentially endangered. Genetically manipulated and not species-appropriate animal husbandry prevent the inclusion in the ark. To date, 1,000 foods from 50 countries have been added worldwide. Among them are also wines and grape varieties such as the wine Viennese mixed sentence, the Uhudlerwein and the variety Red Veltliner (Austria), the varieties Frühburgunder and Tauberschwarz (Germany), as well as the hybrid wine "Cuvée des vignes d'antan" from the variety Jacquez (France). This page was last modified at 17 January 2018 at 15:04.